Syfy today announced it has greenlit a pilot for Krypton, the Superman prequel series set two generations before the destruction of the legendary Man of Steel’s home planet. Krypton will follow Superman’s grandfather — whose House of El was ostracized and shamed — as he fights to redeem his family’s honor and save his beloved world from chaos. 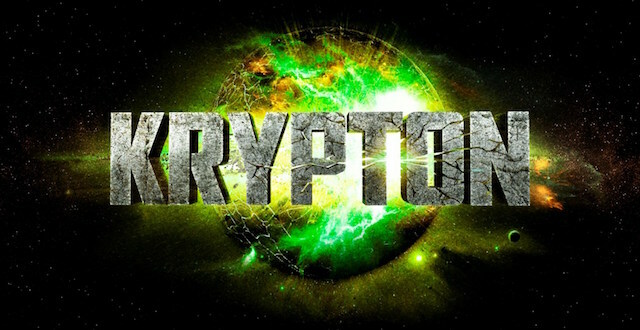 Krypton will be executive produced by David S. Goyer (Man of Steel, Batman v Superman: Dawn of Justice, The Dark Knight trilogy) through his Phantom Four banner. Damian Kindler (Sleepy Hollow) will serve as executive producer/showrunner; Colm McCarthy (She Who Brings Gifts, Peaky Blinders) is set to direct and co-executive produce the pilot. The pilot teleplay and story is written by David S. Goyer & Ian Goldberg (Once Upon a Time, Terminator: The Sarah Connor Chronicles). Krypton will be produced by Warner Horizon Television and is based on characters created by Jerry Siegel and Joe Shuster, published by DC Comics. In the late 1980s, John Byrne scripted a comic book miniseries called “The World of Krypton.” It introduced a version of Kal-El’s paternal grandfather named Seyg-El (named for Superman co-creator Jerry Siegel). There’s no word yet on whether or not the new series will keep that name, however.